Nothing conjures up thoughts of easy, breezy relaxation more than a leisurely brunch with family and friends. Except when you’re the host and you have no clue how to actually put together that much-anticipated brunch menu. 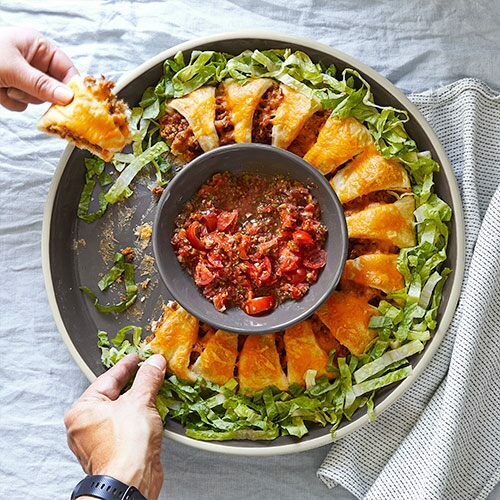 Here are tips to help you host a simple and stylish brunch without the stress, plus some recipes to get you started. Because nobody wants to wake up a 5 a.m. to prep for an 11:30 a.m. brunch. Brunch combines the absolute best flavors of breakfast and lunch. We recommend choosing an egg dish, something hearty or savory, something sweet, something fresh, and something for dessert. And don’t forget about the drinks—make sure coffee and a cocktail or mocktail make it onto your menu. See our menu ideas below. Plates, napkins, silverware, tablecloth, placemats, glassware—arrange it all on the table the night before so you’re not left fussing with place settings when guests arrive. Pick up some flowers from your grocery store or local florist and arrange them in a variety of jars or vases you have around the house for an easy and inexpensive decoration. 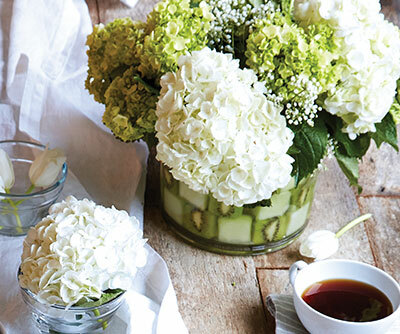 Or get creative—a Prep Bowls make adorable bud vases, for example. 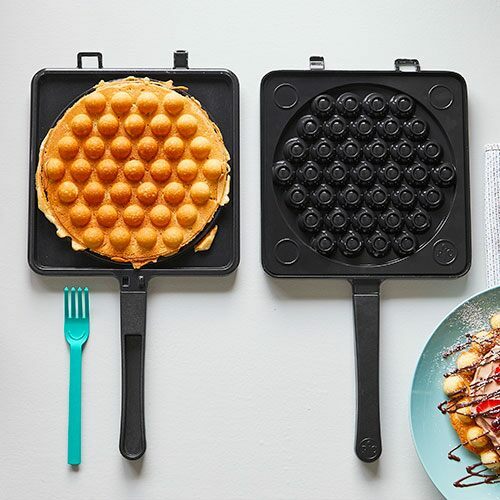 Will food be plated or set out buffet-style? We suggest the latter—no need to make it harder on yourself! Gather up your serving and entertaining pieces and figure out what you’ll serve in each, and where you’ll arrange your spread. If you use something like this glazed stoneware, you can cook and serve in the same beautiful dish—less for you to clean when all’s said and done. Prep as much as possible. Chop onions, beat eggs, squeeze juice, grind coffee—whatever you can do ahead of time, do it! 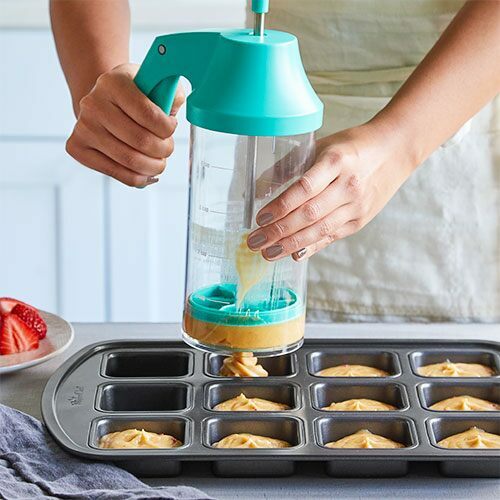 Store your prepped ingredients in airtight containers in the fridge until you’re ready to start cooking. Don’t turn yourself into a short-order cook the day of your brunch. That means no pancakes and no made-to-order eggs. The egg dish is the centerpiece to any brunch. 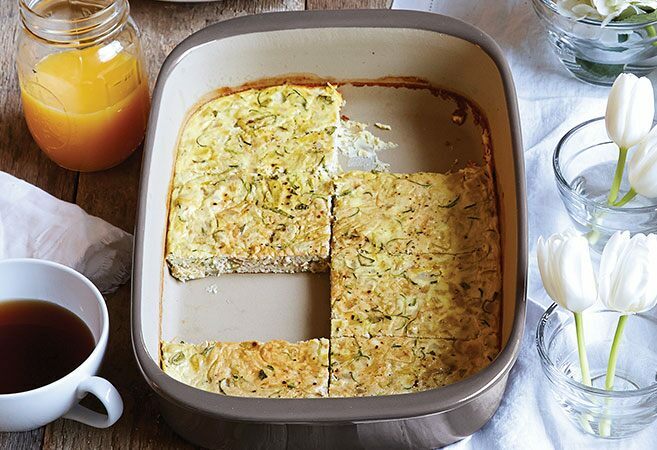 When you whip up something as delicious as this easy Artichoke Zucchini Frittata, your guests won’t even miss the fact that you didn’t fry up eggs to order. Be sure to make the complementary Roasted Red Pepper Sauce offered in the recipe; it will add lots of color and flavor. 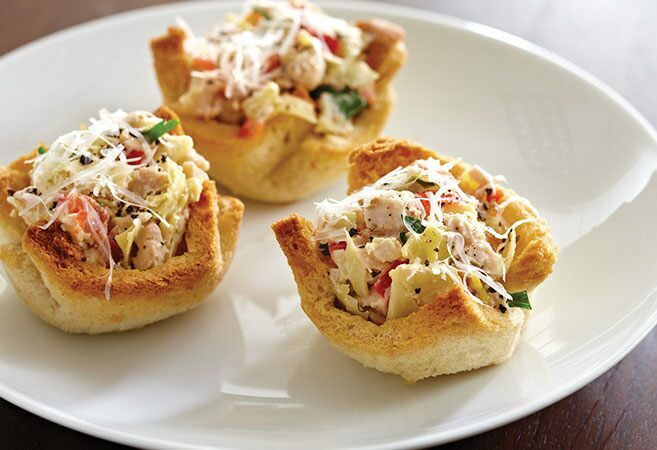 Bring the flavors you defined in your egg dish into a creative lunch-inspired option, like these Artichoke Chicken Salad Tarts. Having a repeat ingredient—artichoke hearts—not only keeps your brunch menu cohesive, it’s a time-saver at the grocery store, too. 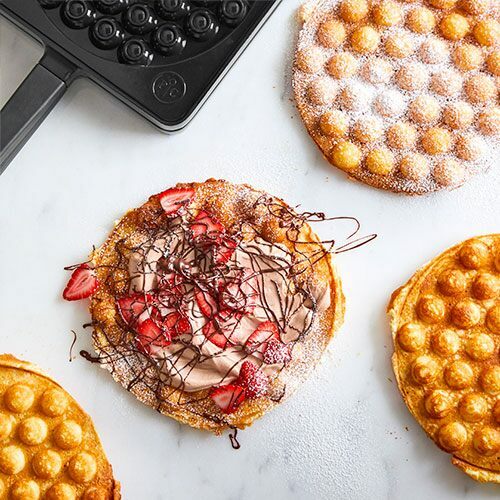 No brunch is complete without something sweet. 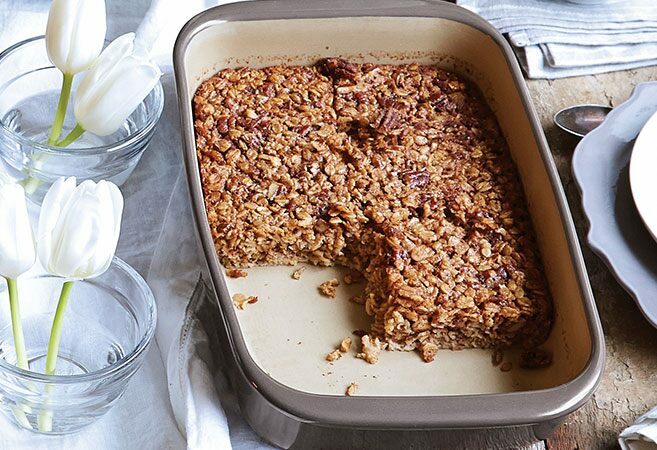 This simple Baked Oatmeal with mixed berries provides sweet, comforting flavor with a little crunch. Plus it adds some healthy whole grains to the menu. 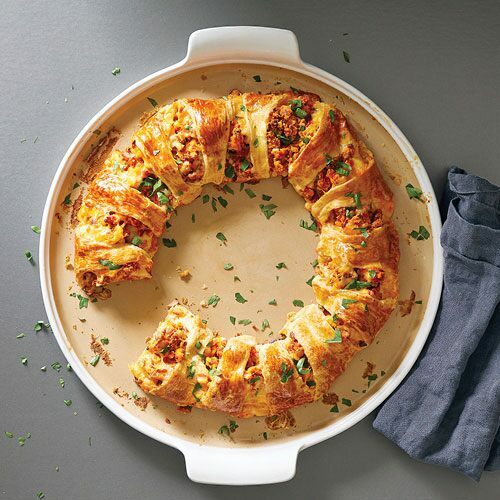 This part of your menu requires minimal effort but adds a lot of bright, seasonal flavor to complement all of your baked dishes. 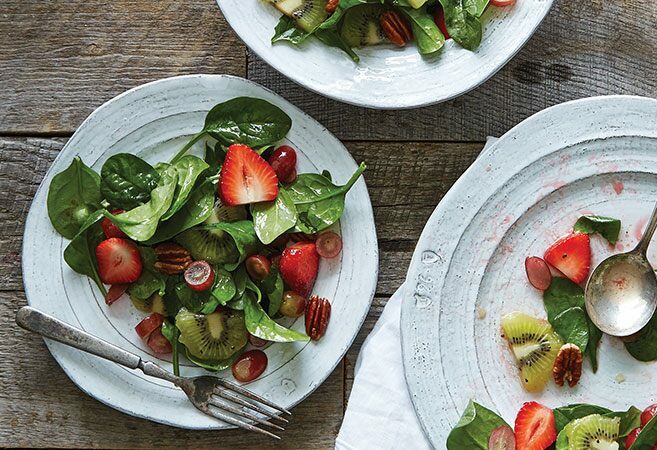 Something like this Summer Fruit & Spinach Salad can be pulled together in just a few minutes and pairs sweet and savory flavors together nicely—a must-have for an ideal brunch recipe. There’s something about a fizzy mimosa (or faux-mosa!) that makes brunch feel extra special. 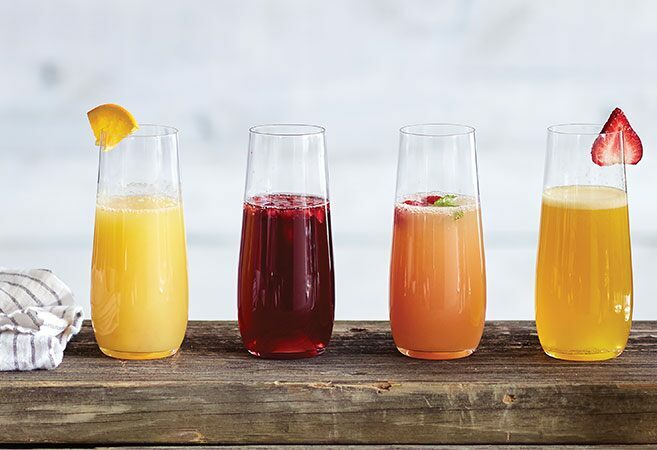 Have fun by offering a DIY mimosa and faux-mosa bar. Set out a selection of juices and champagne or ginger ale, plus plenty of fresh fruit to garnish. Then let everyone enjoy! A sweet dessert is the perfect way to cap off a brunch, plus it allows everyone to finish their coffee (or have a second…or third cup!). 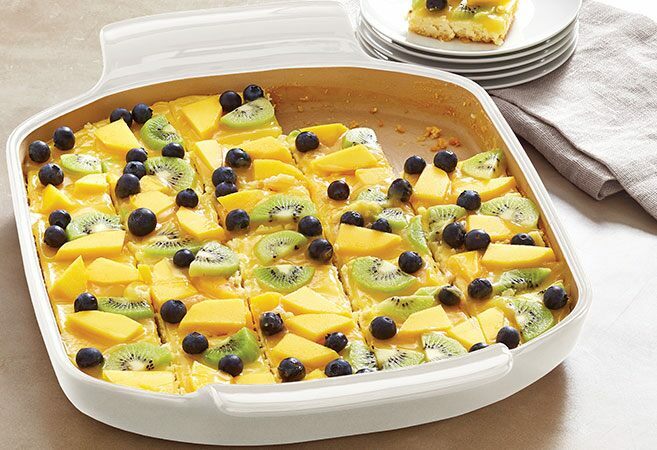 Look for something that highlights the fresh flavors of the season—like these Citrus Cheesecake Bars. 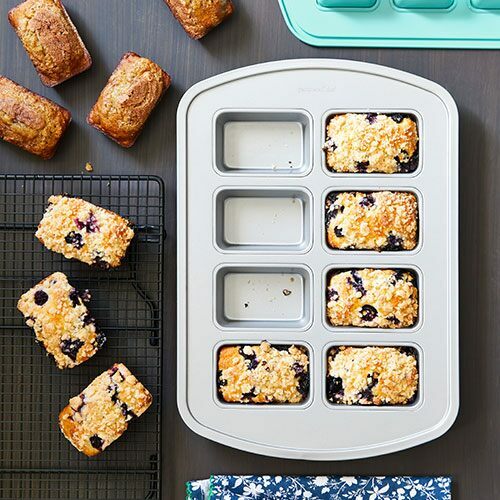 Download a free recipe ebook with 17 awesome recipes (and lots of brunch ideas)!